Well I’ve done Fire and Air so why not Water! 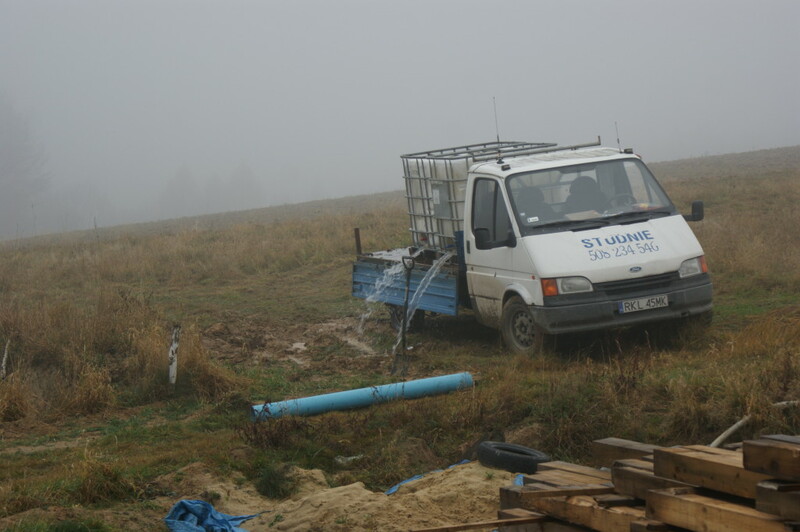 So this was the week we drilled for water, well not me and Gosia; Pawel and Krzysiek, the Studnia (well diggers) And even then they don’t use spades any more, oh no, they turn up in a big truck with drilling gear. 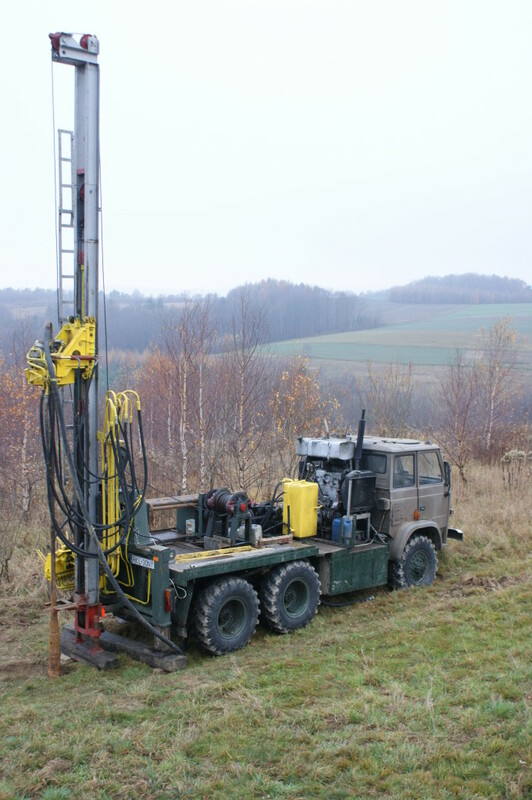 We had two options for our future water supply, hook up to the mains; which is about 600 meters away and would require a very long trench, or drill our own bore hole. 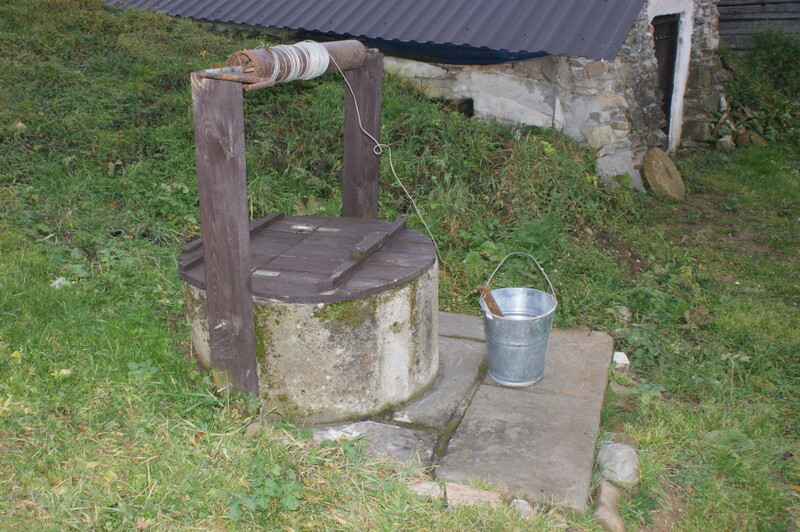 The cost between the two was marginal, depending on how deep we have to drill as we are paying by the meter; so the ultimate decision came down to future sustainability, or monthly bills versus pump maintenance; so the bore hole wins. 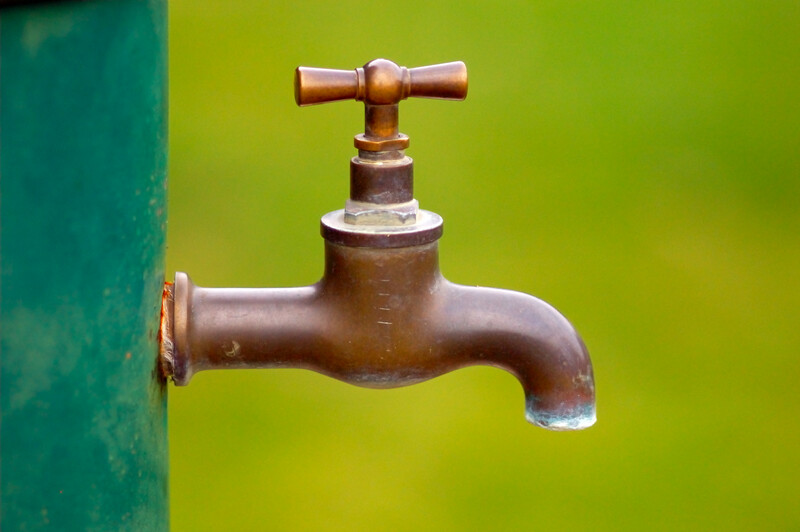 Of course we could be wrong, but I’d bet that water prices are only going to increase in the future and who knows what the water companies will be putting in the supply in times to come? 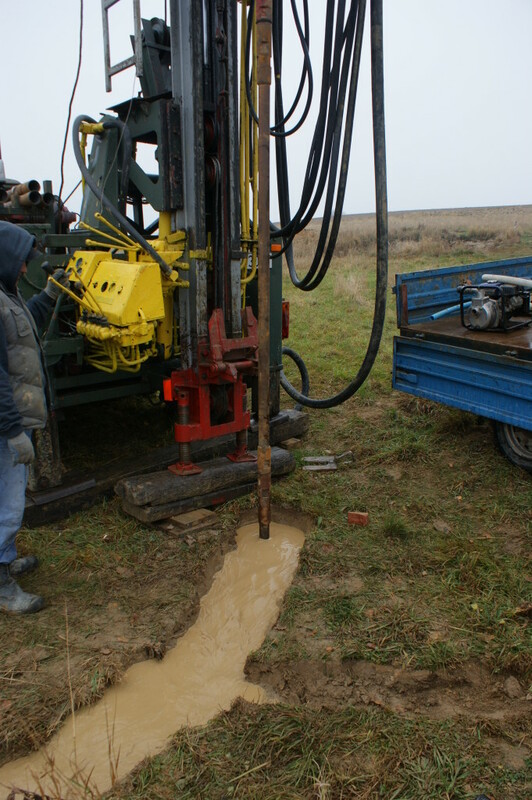 The whole process is quite straight forward, although it requires one key ingredient that we don’t have, water; which is used to cool down the drill head as it makes its way down through the layers of terra firma. But of course these guys have done it all before and a couple of pits and trenches are dug to hold few thousand litres of water which can recirculate as the drill goes down, topped up by the second truck which heads down to the village stream to pump more water into the thousand litre tanks he has on the back. The first 5m were clay then we hit rock and after the first day we had only gone down 8m. On the second day we got to 12m, but then we hit a problem, the water was no longer circulating, it simply disappeared…..10,000 litres! As you can imagine this slowed things down quite a bit; having to travel 2km to get to the nearest water supply and then having to pump it into tanks to drive back and empty them into a bottomless hole, I was beginning to feel sorry for the Studnia. Even the weather was down; still cold air with a constant drizzle. 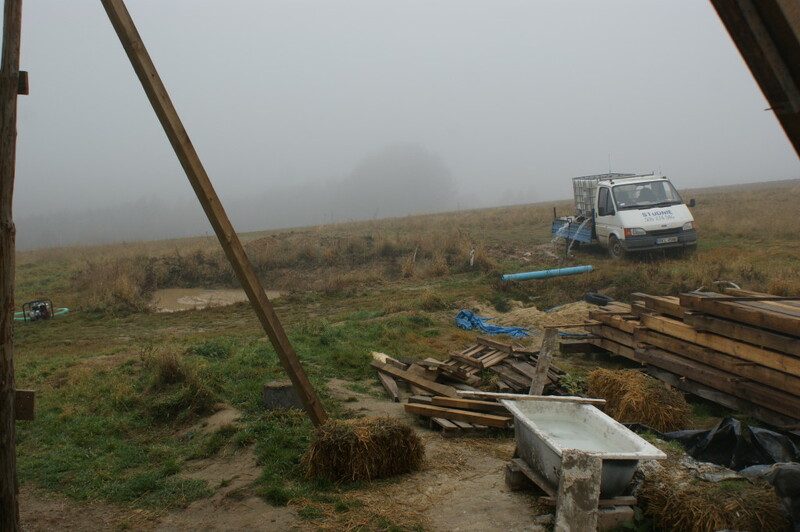 But these guys have experience and noticed that there was a pit to the left of the house, good for holding at least 20,000 litres of water; the pit that we had dug when we had a JCB at our disposal during the pouring of the foundations. I had asked for it to be dug so that I could build a water cistern in the future to hold the rainwater run off from the roof, a lucky break:) So the new task was filling the pit so that they could drill for more than 20 minutes at a time. Eddy, can your life get any harder mate? I complain if Anglia Water put up the price on my metered supply. Talk about taking life for granted. Well done you two. Pete, Norfolk. I’m lucky, where I live the water is close to the surface. When I was digging holes for my compost corner posts in March, I hit water at 18″ (about 1/2 meter) down. 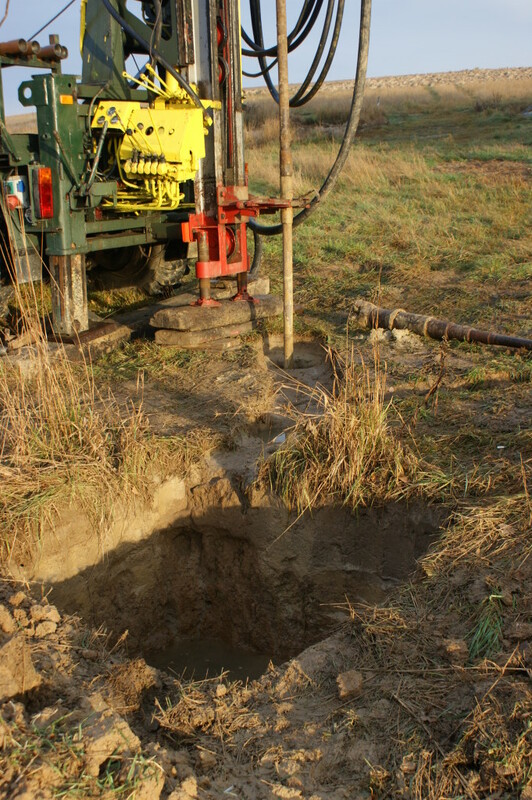 People drilling for water use a ‘burp pump.’ Dig a hole as far down as you can with a post hole digger, add water to the hole, then using a 1 inch PVC (2.54 cm) or bigger, pump air into the bottom of the pipe and bounce it around the bottom of the hole inside the casing. As the sand and gravel go up the pipe carried by the water, you push (sometimes pound) the casing down. Doesn’t work if you hit a big rock though.